Does “Security Technology” Cover The Broader Application Possibilities Of Today’s Systems? Saudi Arabia’s National Commercial Bank (NCB) is using IDIS technology for one of the biggest financial surveillance system upgrades ever seen in the region, involving at least 1000 NVRs and over 2500 IP cameras. The bank, which serves over 5.4 million customers and is the second largest in the Arab world, chose an IDIS solution to modernise its security and comply with the latest standards introduced by the Saudi Arabian Monetary Authority (SAMA) and Ministry of Interior. 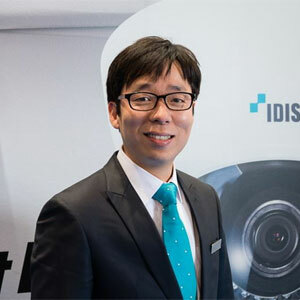 IDIS, which is the largest manufacturer of surveillance technology in South Korea, confirmed that the project involves an upgrade to full HD IP technology across 400 branches and more than 2580 ATMs, to be completed ahead of the 2021 deadline. NCB, also known as AlAhli Bank, needed NVRs that would provide RAID 1 and RAID 5 support, and a solution that would allow integration of both IP and existing analog infrastructure, and the capability to cost-effectively store video footage for a full year. Solutions provider Almajal G4S was appointed and following a competitive tender process IDIS technology was identified as performing better than alternatives in detailed and rigorous proof-of-concept testing. The IDIS solution operational benefits at the installation stage as well as in daily operations over the lifetime of the system. “Keys advantages for NCB in choosing an IDIS solution is the technology’s robustness, its resilience against data loss, and high level protection against cyber threats. Using IDIS technology is also ensuring a frictionless migration from existing analog,” says Ahmad Said, ESS Director at Almajal G4S. Thanks to its hybrid capability, IDIS technology allows analog and IP cameras to be used together, making the upgrade project easily manageable, with a seamless, staged switch-over. For this mission-critical project, IDIS’s Linux based servers and proprietory protocols also offered the highest level of resistance to hacking, while zero-configuration elminates the need to manage IP addresses for every device, all of which gave NCB the network security assurances they were looking for. An important consideration for NCB was IDIS Intelligent Codec which, together with dual H.264/H.265 performance, delivers up to 90% reduction in bandwidth and storage. This gives the bank significant, on-going savings allowing compliance with video data storage rules. Providing the lowest total cost of ownership, the IDIS solution will allow efficient maintenance and simultaneous remote upgrades for multiple devices and gives NCB the assurance of IDIS Ultimate Warranty. The project is due for completion in 2019, NCB and the associated IDIS solution will be the first to achieve full compliance with the new SAMA standards.